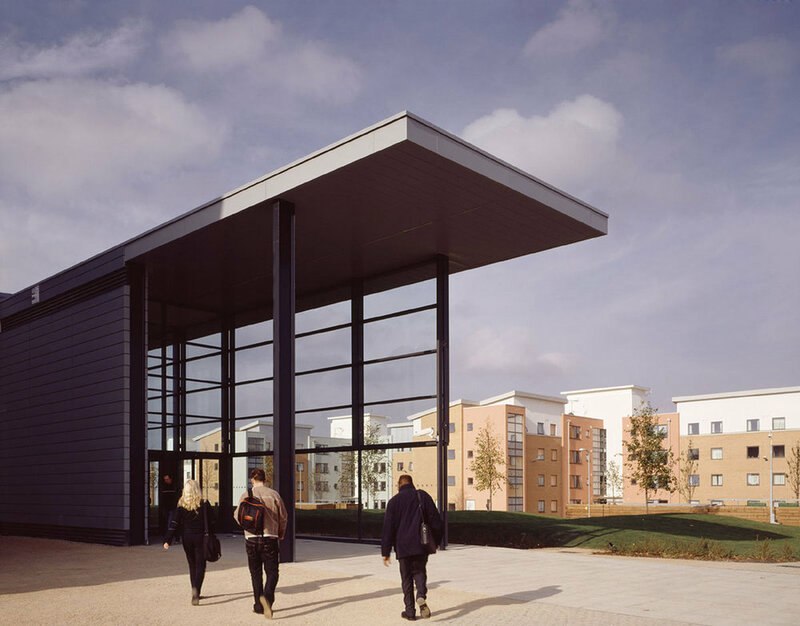 Developing from the University of Hertfordshire’s de Havilland Campus Masterplan the Academic Buildings and Learning Resource Centre were designed to provide fully flexible and primarily naturally ventilated space for teaching, learning and staff workspaces. 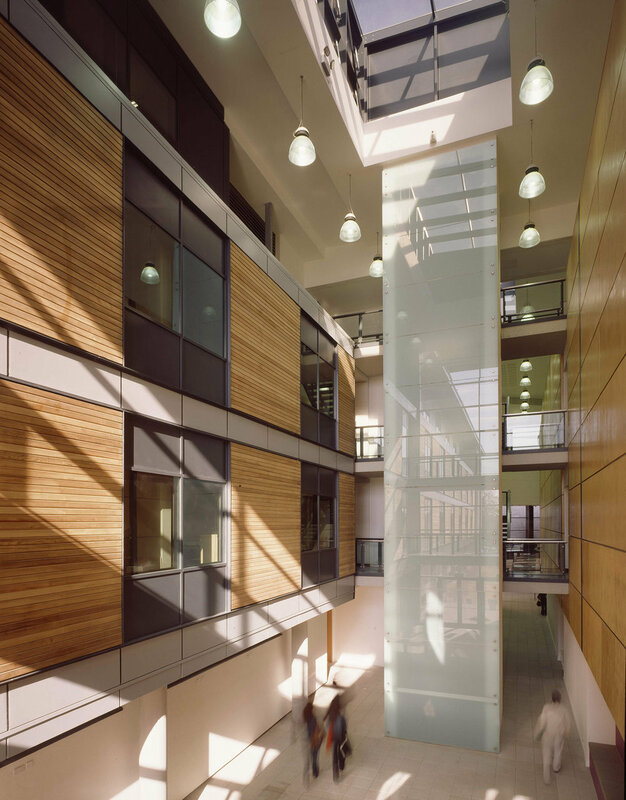 Occupied by the Faculty of Humanities Law and Education and the Business School in addition to a 24/7 Learning Resource Centre, the scheme is connected by a glazed street which faces the student residences across a central green space and provides sheltered access between the buildings. A concept of shared teaching space was developed in consultation with the university in order to maximise utilisation of space and provide opportunities for cross faculty learning.